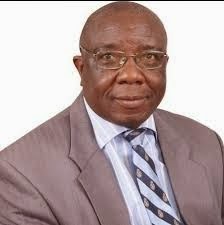 A motion to dismiss Vihiga county finance chief officer Tom Akolo during a special sitting of Vihiga county assembly ended prematurely moments after debate began when speaker Dan Chitwa ruled out motion on the debate. Now, the assembly is contemplating to discuss the conduct of the speaker whom they claim was compromised to sweep the matter under the carpet. Companies allied to him are said to receive tenders brokered by the embattled finance officer, it is alleged. Speaker Chitwa cited standing order 63 that states the process of dismissing a public officer from office. The order states one could only be removed from office following recommendations by a special committee set up to investigate any officer. “You cannot remove someone from office through a motion but by a report by an investigating committee. A select committee has to be set up to investigate the officer in question, make findings and recommendations to the house, the same procedure we followed to recommend the sacking of the four county executive members,’’ Chitwa cited. But the speaker’s ruling surprised members of the assembly since all motions brought before the assembly pass through the office of the speaker, an indication that the speaker approved the motion before it was tabled in the assembly. The speaker’s move to terminate debate on the dismissal motion by Wodanga ward representative Vincent Atsiaya drew accusations from members present who accused the speaker of attempting to block debate on the dismissal motion which they claimed was procedurally before the house. “Mr Speaker, Sir, you cannot interpret the law now, while we are trying to save the county from an officer who has been found unfit to handle county funds,’’ a furious Atsiaya said. Atsiaya’s dismissal motion was occasioned following a statement by the public accounts committee that said Akolo was guilty of four allegations. Among the allegations facing the finance chief officer are breach of public procurement procedures and disposal act, avoiding internal control procedures by accessing accounting staff passwords and asking the national government to second 10 officers to the county government without approval of the county assembly. He is also accused of being terminated as the head of internal audit at Kenya Pipeline due to incompetence. Atsiaya argued that it was time the officer was relieved off his duties. “Mr Speaker, I respect you but I can also disrespect you. This motion is rightly before the house and all the members are in agreement that we should dispense off the matter,’’ he said. The minority chief whip Tom Atingo said he was surprised that the speaker sounded as though he was ‘running away’ from the motion he had sanctioned. But after the counter accusations, Atsiaya accepted to temporarily withdraw the motion to allow room for the formation of a special select committee to further investigate the officer and report its findings and recommendations to the assembly. He asked the speaker to select reputable MCAs who would not be compromised while discharging their mandate. The speaker directed the committees of Public Accounts and Justice and Legal Affairs to jointly investigate the officer and make recommendations on the findings. Meanwhile, in the same county, a political adviser of Governor Moses Akaranga was arrested and is out of court on bond after she allegedly connived to poison her husband in Bungoma. It is said the woman has been deserted by her husband from Luanda constituency and used the driver in the plot. However, fearing for the man’s life, the driver exposed the sinister move. She was tricked by police who arrested her while visiting the man at a hospital after being told he was in a coma.